Normal Not Found: In the beginning: how did you get into button making? In the beginning: how did you get into button making? This year I will be using the #yearofhandmade prompts to tell you more about my button making craft and the journey I've had with it over the last two years! In the beginning: how did you get into the craft? 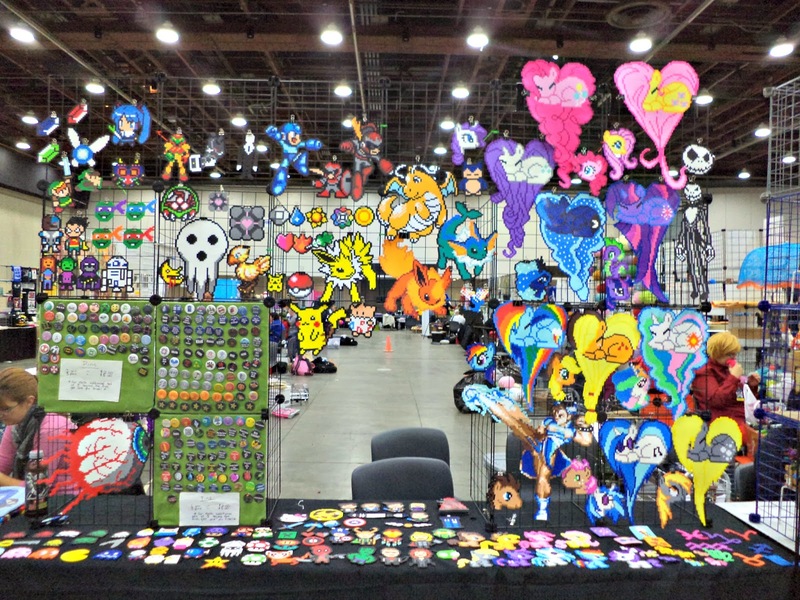 In early 2013, I first got into button making when a friend of mine mentioned that she was going to anime conventions to sell pinback buttons and perler bead art that she had made. I was no longer in school and conveniently had time to start a new hobby so I decided to join her and make my own pinback buttons! The "Keep Calm" buttons were first. There is only one design currently in my shop! Animarathon 2013 in Bowling Green. OH was my first anime convention! I had never sold anything at a craft show before. I hadn't cosplayed before either. I decided I was going to dress up as Maka from Soul Eater. Other than learning how to tie a tie (haha!) the costume worked swimmingly! I shared a booth with two friends, one runs SquirrelyEvil and the other runs Lilly Inverse Designs. We covered the two tables we had and set up a grid-wall with our swag. looking back on it now we had so little in stock! Sales went so well that we had to have a table neighbor across from us sneak a picture of the three of us! Lilly Inverse Designs and I crammed both of our swag onto one table! What a difference! What a year! That was my first year and my big start. In 2014 I moved away from perler bead art and began focusing on making pinback buttons and magnets. 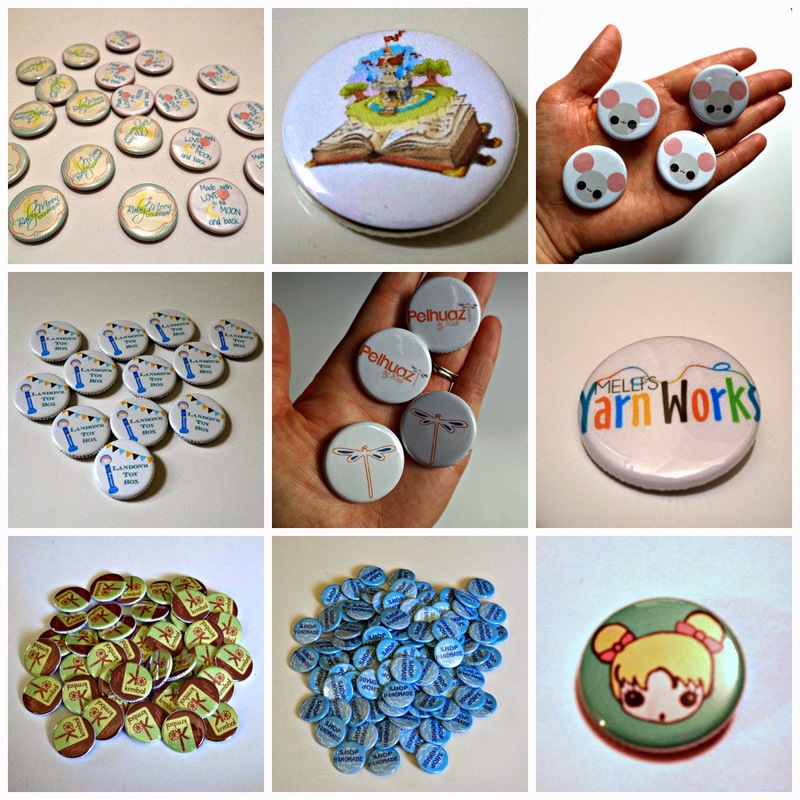 I helped over 20 small businesses promote their shops with pinback buttons and magnets! Here are some of them! What about you? How did you get started in your craft?